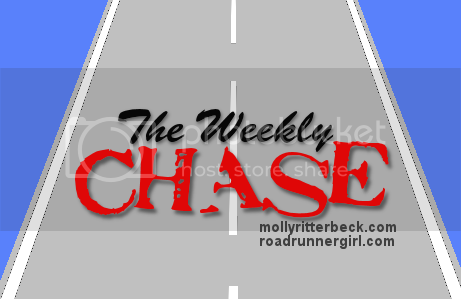 As always, I am linking up my Weekly Chase goals with Mindy from Road Runner Girl. Below is a recap from how the goals from last week went over, and my new goals for this week. Check! I'm finally starting to get back in the habit. Sort of check... I need to wash my winter jackets before packing away. Check! But I still keep falling behind. Check! I'm excited to try some new recipes and try and be a bit healthier over the summer. Check! I have a 9-day streak going! It really is a great motivator to get on out there, even when I'm having a 'I'm tired and want to be lazy' day. Yay! Ha, good luck on catching up on all the blog stuff...it's never ending!!!! those are a lot of goals for one week! I also need to clean out my closet and give stuff away. I keep putting that off. Catching up on the blog stuff is like catching up on laundry! It really is – I don't know how anyone stays afloat in regards to blog reading. Do you have any suggestions? Great goals! I'm impressed that you manage to log all your calories. I had to do it once for a class and it took me forever! Woohoo Summer Run Streak! Thank you! It's not too much of a pain if I log while I'm eating or right after, that way I remember what I ate, and it only takes a minute. It takes me much longer if I wait till the end of the day, because I can never remember everything I had or what sort of portions they were in. Once you're in the groove it gets quicker ;) How's the streaking coming for you? Nice goals! I did the running streak over the winter holiday and I did pretty good with it. I'm sitting this one out though! Thanks. Yeah, I'm not sure if I'll be able to keep it up, but I'm trying really hard! Nicer weather helps, I'm not sure I'd be in the mood to participate in the winter haha. I'm the worst at counting calories!! And I only made it to day 4 on the Runners World run streak challenge lol something about kid, work, baby showers, wedding dress shopping, more work. Oy. I know I know lame excuses, eh?! Kudos to you for sticking with it!!! Oh my gosh–good for you on making it 4 days! You can always jump back in, if you want (or if you have the time... I don't know how moms find time to do anything! I applaud you). Those aren't lame excuses at all. Wedding dress shopping sounds like more fun, anyway :) Congrats!